A big thank you to my friend Michelle! 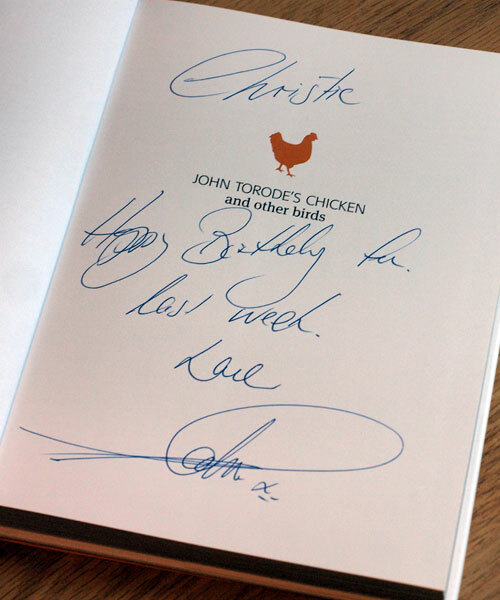 Yes, that’s John Torode‘s personal birthday message and signature for me (with a kiss!). My wonderful friends Michelle and Huw went to dinner at John’s new restaurant The Luxe at Spitalfields in London last week. They happened to see John there and asked him to sign the book for me (which they kindly bought – thank you!). To say I was excited when she told me that she’d done this was an understatement! I’m such a fan of the Masterchef show (the British one, which existed waaaay before the inferior Aussie version – sorry guys). When I lived in London I used to love the marathon Saturday morning sessions where they would play the week’s episodes back to back. Pure heaven. I also love Greg Wallace, aka puddingface, who I enthusiastically follow on twitter. I don’t think John’s on Twitter? Someone correct me if I’m wrong. Everyday Harumi : A Japanese cookbook with easy and delicious recipes and fantastic drool-worthy photography. A big thank you to my friends Celine and Bi and their baby girl Alice for giving it to me! Tender: v. 1: A Cook and His Vegetable Patch : Nigel Slater’s newest offering. I adore Nigel’s approach to eating and cooking, plus his cookbooks are aesthetically fabulous; the paper stock, the muted tones and the cloth cover really appeal to me. Thanks to hubby Dillon for that one! 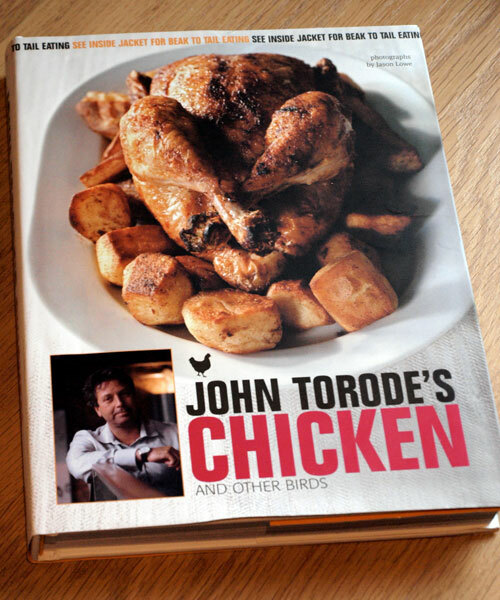 I promise I’ll cook lots of recipes from them on my return to Australia in December. I just couldn’t bear to cause them any damage lugging them around the world. SUCH an honor!! What a great gift and experience. Lucky you! And Belated b’day wishes! Darn, I am filled with envy now!!!! I love Masterchef….. Happy belated birthday!! I like the sound of the vegetable patch book. It’s good to have sent them home – it will be a great inspiration to arrive to when you run out of holiday time. @Veggie Girl – It’s a great gift isn’t it? I’m so happy! @Lorraine – Thanks! I’m very pleased with it. @Arwen – You must get Tender by Nigel Slater it’s the best ever read.